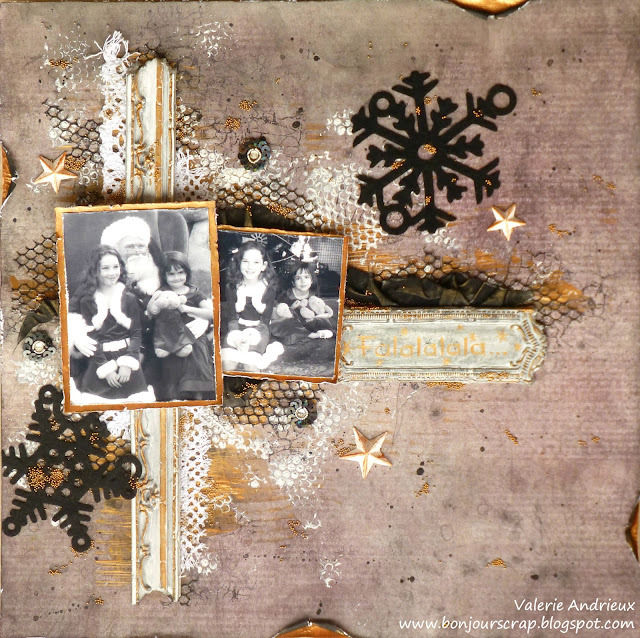 I choose non-traditional Christmas color for this layout : black and copper ! 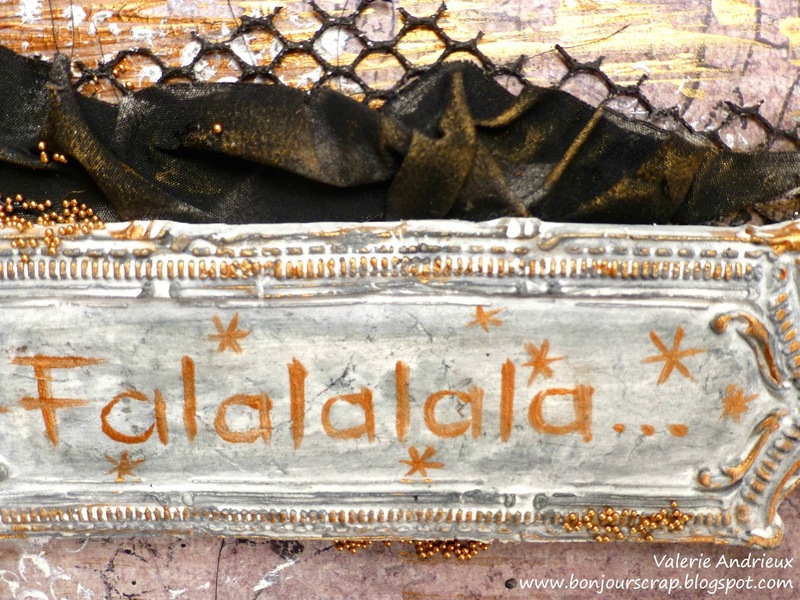 I started by building the background on French Riviera paper (Prima) : black sooth distress ink (Ranger), crackle stamp (Prima), copper crackle paint (Prima), gesso with texture powder (Prima) with honeycomb stamp (Prima), and black gesso. I added white laces distressed with black ink, chicken wire with black gesso,, copper microbeads (Prima), black felt snowflakes (Prima), sequin embellishments (Prima), clay embellishments (IOD mold from Prima). Almost forgot... 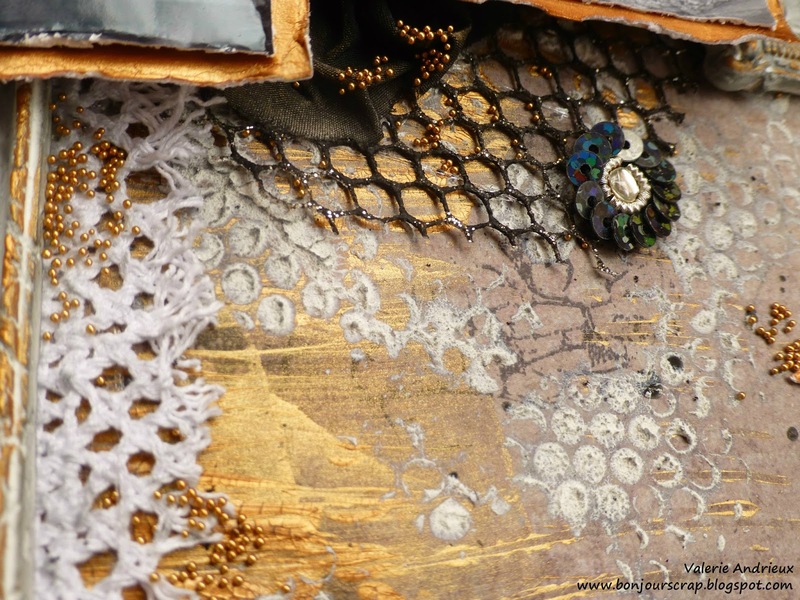 I also use fabric painted with black gesso and copper paste as paint. And that will be my last layout for 2016 ! Thank for for stopping by today. Have fun on New Year's Eve and see you next year ! It's gorgeous Valerie, love the colours andere texturen!! Such a beautiful page! 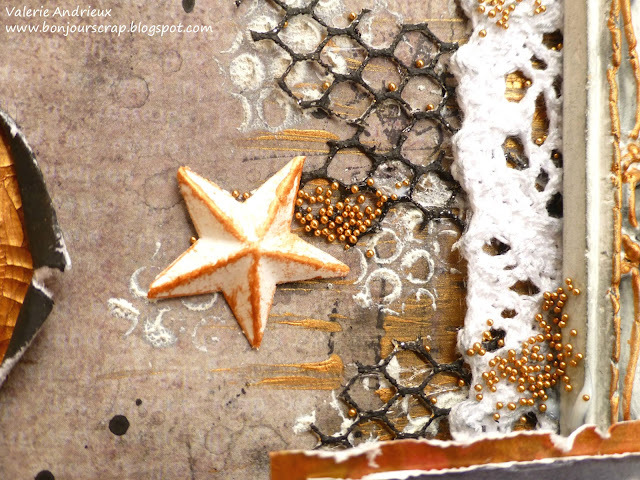 So many layers and colors and textures...just fantastic!